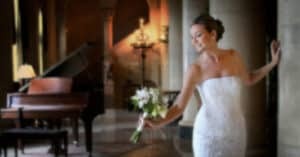 Attending a bridal show can be most helpful in planning your wedding. They are exciting, festive and full of terrific ideas. You will be able to meet and ask questions from many wedding professionals all under one roof. You will want to gather information, compare prices and services, register for prizes, see the latest fashions, get great new ideas and just have fun. What’s in style for Bridal Gowns?